Have you played 'Splosion Man yet on Xbox LIVE Arcade? If you haven't you should check it out, we highly recommend it. It's a really cool, fun game and it's been selected in the 2009 Spike TV Video Game Awards as a nominee for Best Indie Game. This year the winners will largely be decided from the public vote, so if you're a 'Splosion Man fan you should go show your support for 'Splosion Man and Twisted Pixel by giving it your vote on Spike TV's Web site. You can vote now by clicking here! Orem, Utah – Nov. 13, 2009 – NinjaBee, a division of Wahoo Studios and a leading independent video games developer, has announced its award-winning Xbox LIVE® Arcade title, A Kingdom for Keflings, is coming to PC. The popular, innovative city-building game originally arrived on Xbox LIVE Arcade on Nov. 19, 2008 and a year later remains among the downloadable service’s most downloaded titles. Featuring a light-hearted, play-at-your-own-pace style of gameplay with beautiful visuals and catchy, frolicsome music, A Kingdom for Keflings offers players a relaxing, fun experience that is unexpectedly addictive. A Kingdom for Keflings was voted the 2008 Xbox LIVE Arcade Award-winner for Best Family Game. No official release date has been announced, but NinjaBee is beginning beta testing and is accepting applications for beta testers. Interested persons should visit NinjaBee’s forums (http://ninjabee.com/forums/viewtopic.php?f=11&t=17969) for details on how to apply. 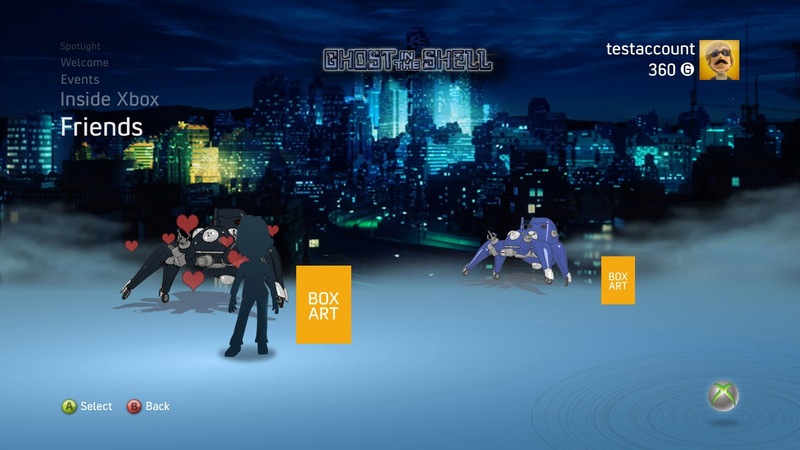 Testers will receive a free copy of the game in exchange for their feedback. For more information about A Kingdom For Keflings visit http://ninjabee.com/akfk/index.html. 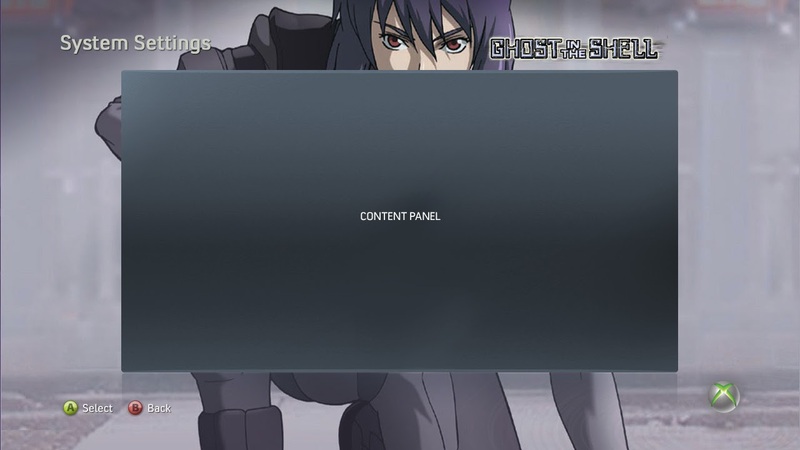 As of this morning you can now get the Ghost in the Shell Premium Theme for your Xbox 360 Dashboard. And since you can't look at it before you buy it, we want to give you a little taste of what it looks like. Keep in mind, the images here aren't finished screenshots. 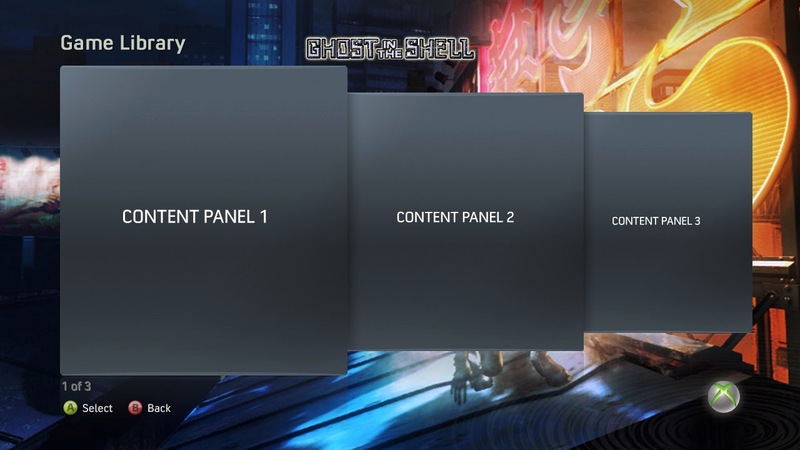 What you see here are our production screenshots that have placeholder boxes instead of real content. But this will give you an idea of what it looks like before you go out there and spend 240 big ones (Microsoft Points) on it. -This is not actually a NinjaBee product. It belongs to Starz Media. They hired us (our Wahoo Studios division that does contract work for other publishers) to make it for them. NinjaBee gives away 3 weeks of free Love! Whoa there, don’t get too excited - it’s not THAT kind of free love. We’re getting ready to launch the third and final game in the Kaloki series for iPhone and iPod touch, Kaloki War! So, to prepare for the new game (coming in the VERY near future) NinjaBee is placing our first two iPhone/iPod touch games, Kaloki Adventure and Kaloki Love, on sale for three weeks on the iTunes App Store! For a short time you can now get Kaloki Adventure for just $1.99 and Kaloki Love for FREE! Aren’t free games awesome? Especially really cool ones that are iPhone versions of award-winning XBLA games that you can take with you anywhere and provide you with hours and hours of challenging, entertaining, portable electronic bliss? Note: Kaloki Adventure has a tutorial but Kaloki Love does not. If you would like one you can download the lite version of Kaloki Adventure (Kaloki Free) for free. OREM, Utah – Aug. 31, 2009 – NinjaBee and J. Kenworthy Entertainment, the creative team that envisioned and developed Cloning Clyde for Xbox LIVE Arcade, revealed today the title of their next XBLA game - Ancients of Ooga. Along with this announcement the developers also unveiled the first piece of concept art from the upcoming title. Cloning Clyde was originally released in July of 2006. No release date has yet been announced for Ancients of Ooga. This Saturday (Aug. 15) Xbox LIVE will hold and avatar-themed Arcade Afternoon event, which will feature two NinjaBee games: A Kindom for Keflings and Band of Bugs. If you're missing any multiplayer achievements for either of those games this would be an awesome time to go online and knock those out. Or just come and have a good time playing cool multiplayer games as your avatar. Plus, some of the NinjaBee team will be there. Let's meet up and play. Every once in a while it's nice to hear from the brains behind the games. Steve Taylor, co-founder and President of NinjaBee/Wahoo Studios recently made an appearance as the featured guest on the season finale of GoGcast, the video game podcast produced by GatheringOfGamers.com (an online community and social network for gamers). During the show's 90 minutes Steve opened up about how he came to start a video game company, answered questions about the development and gameplay of some of NinjaBee's most popular games and may even have leaked a little information about our next big (and not-yet-announced) Xbox Live Arcade game. If you want to hear what Steve had to say, you can find and listen to episode 20 of GoGcast (the Season 2 Finale) here. OREM, Utah – June 29, 2009 – NinjaBee, the creators of the first fully-enabled Avatar game on Xbox LIVE® Arcade, A Kingdom for Keflings, announced today that beginning July 8, Band of Bugs will include Avatar support. In addition, NinjaBee will be releasing Tales of Kaloki, a new, game-changing DLC for Band of Bugs. 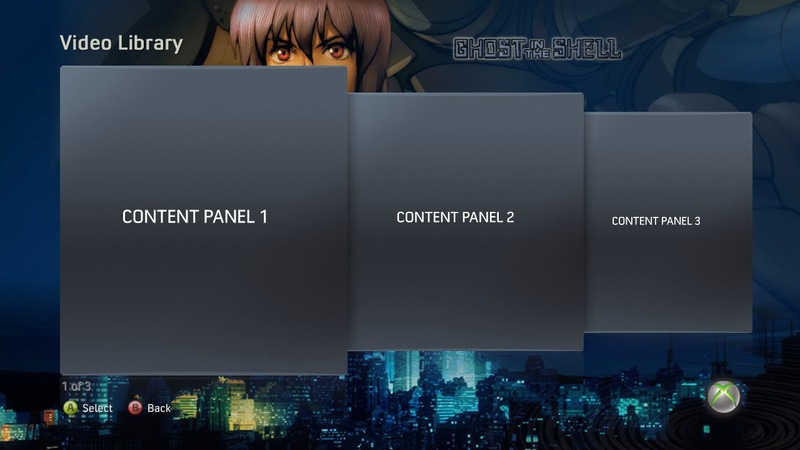 The added Avatar support will allow gamers the option of replacing the original story’s hero, Maal, with their custom Avatar as they play through the main story mode. Players will also be able to engage in hand-to-hand combat and spell casting in eight-player Spider Hunter mode. Spider Hunter, one of several multiplayer modes, allows players to battle with or against their friends over Xbox LIVE to survive an onslaught of deadly spiders, mosquitoes, centipedes and more. The Tales of Kaloki DLC is based on NinjaBee’s first Xbox LIVE Arcade game, Outpost Kaloki X. The DLC is set in space and uses the basic mechanics of Band of Bugs but adds a new tile set, new characters, new story, new skills, new strategy, new attacks and new abilities. In addition, NinjaBee will release a Band of Bugs Premium Theme. 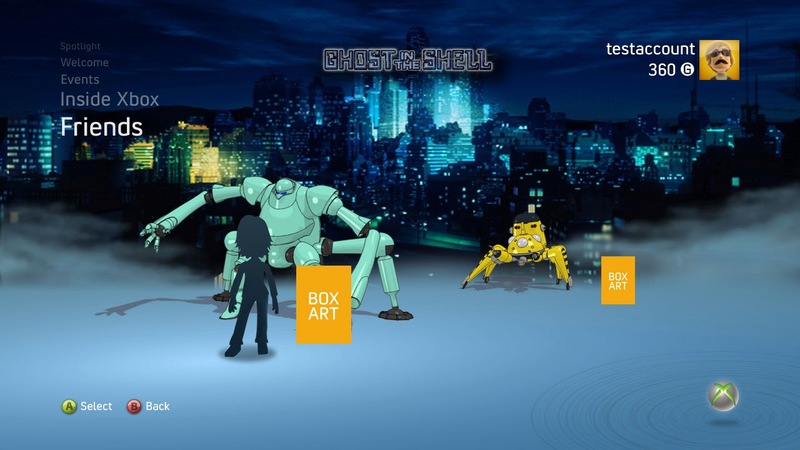 This theme, which features scenes from the game and concept art, can be downloaded through the Xbox LIVE Marketplace for 240 Microsoft Points. The Avatar support will be added to the original game for free and the Tales of Kaloki DLC will be purchasable through the Xbox LIVE Marketplace for 240 Microsoft Points. Like the extensive collection of DLC already available for Band of Bugs, Tales of Kaloki can be played by downloading the original game, Band of Bugs (800 MS points). The Avatar support, Tales of Kaloki DLC and the Premium Theme will be available Wednesday, July 8. Band of Bugs is rated E for Everyone. For more information, please visit http://www.NinjaBee.com. So we released this picture today announcing that we're bringing new things to Avatars that you haven't been able to do previously, like throw fireballs with your Avatar. To clear up any confusion, this image was taken from a screenshot from the game. Our art director, Brent, took it from the screenshot and erased the background, touched up the color, tilted the positioning so the Avatar was in a better position and added a glow around the Avatar, but other than that, nothing was added in terms of the fireball. You will, in fact, be able to throw a fireball in this game. And a whole bunch of other really cool stuff. Later in the week we'll be posting more info on this new prospect, so follow this blog, follow us on Twitter, or check out our forums for more info!